When Renesmee returns home from a shopping trip with a Caboodle of hair accessories, Daddy is her preferred makeover subject. Charlie's recent words on fatherhood convince Edward to take it like a man and allow his daughter some fun at his expense. Bella is Carlisle's daughter in the 1700s. One night, Carlisle doesn't come back from his hunt to take down the vampires. Bella is forced into a marriage with a man who becomes abusive. One night, a year after Carlisle bacame a vampire, her husband nearly kills her and she is left out on the streets, where she is changed. So, what will happen? Will she meet her dad? And will he have another family when she finally meets him? Nessie's growing up, and Edward is having a hard time accepting it. When Nessie wants to wear make-up, it sparks the biggest fight she's ever had with her dad. From Edward's point of view. Edward leaves for a second time and left bella hopeless and heartbroken. 50 years later bella is a vampire and returns to her home town forks to meet back up with her once true love.Can their love be back together after so long, or just be torn even farther apart. `` "Do you really think we should continue to mess with fate? We've toyed with it enough as it is and look at where it has gotten us! Edward messed with Bella's and now we're in a heep of crap that we're never going to recover from. This entire time we've been playing with it, changing it, molding it. Fate is not meant to be messed with when it comes to two things, love and death. I know that much. I'm sure Esme and Edward will agree as well. I know they will." I said, sounding sure of myself. That didn't mean I actually felt it, though. `` Bella/Edward, Carlisle/Esme, Bella/Carlisle, Alice/Jasper, Emmett/Rosalie, Victoria/Riley. When Bella nearly dies, Edward must make a choice. rated teen just in case Review and whatnot it makes me update that much sooner. What if Bella and Edward decided they didn't want Jake to be with Nessie? What if they forced her to leave him in the only way possible, by breaking his heart? This is my twist on what happens after Breaking Dawn. When you leave someone you love for the better, they should just stay away right? Well, what if it was what you needed, but just couldn't get him out of your mind? I got bored. Bella visiting Jake in the rain. I'm impressed with myself actually, I think it's pretty good for Paint. This is a story about an interesting day for the Cullens. Bella's POV All characters, settings, etc. belong to the awesome Stephenie Meyer! Only rated teen just in case. The story of Pire, Nahuel's mother, and how he came to be. Do NOT read if you haven't read Breaking Dawn.! You won't understand it most likely AND it might spoil a little. DISCONTINUED. Sort of like what Bella felt like through New Moon, I'm not sure how to explain it, it just came to me. Enjoy! What if the Cullens weren't the only ones who were special? What if Bella could do something they had never seen before? Canon pairings. Slightly OOC. Twilight from Edward's point of view. Renesmee has lost her memory after mysterious circumstances. She now lives with her adopted brothers and sister after her adopted parents died in a tragic accident. But while in school she comes across some strangers who may hold the key to her past. Summary: They say that the past comes back to haunt you. What happens when a part of Edward’s past comes back to him? Say an old lover. Will he turn her away or will he embrace her?How will Bella react and handle this new information? The door opened behind me, with a cold gust of wind suddenly sweeping through the room, rustling the papers on the desk and carrying that scent! I froze. Not again!...I sensed nothing...The fragrance was maddening. I slowly turned my head, following the scent, and there she was. Standing, back pressed against the back wall, waiting. She was haunting me. A reimagining of Twilight from Edward's perspective, starting from the very beginning...The First Time - and continuing on beyond where Midnight Sun ends. NOMINATED: 2009 Bellie's category Canon that's Better than Canon NOMINATED: 2009 Indie's Top 10 Best Canon Disclaimer: All characters, settings, and a great majority of the dialogue are the property of Stephanie Meyer. (Edward pov.) "There was a bad hour," she whispered. "He decided to go hunting." - What did Alice see and what made Edward change his mind at the last minute in Volterra? Edwards decision in New Moon - Just a couple of chapters up to the Cullens leaving. Edward has left. this is a poem Bella wrote after he left. A poem I wrote one day after re-reading New Moon. This is a songfic from when Bella decided to jump from the top cliff in New Moon. its been a while since bella had renesmee everything seems fine until the volturi (being mad from their last encounter) make another plan this time, involving some familiar wizards to get revenge on the cullen. What will happen and what will they do. Crossover involving characters from harry potter. R&R come on people almost 1000 reads and only 9 reviews...i wont be updating until i get atleast 15 please i have the rest of the story but what good is it updating if i dont get to see wat you guys think of the story ***update*** i still only have 9 reviews. is my story that bad? Bella Swan is the perfect child. Charlie and Renee are married and living in Forks with her. But Bella feels wrong. She’s diagnosed with depression that takes over her every thought. That is, until a certain someone comes to Forks. …A certain someone with gold eyes… AU. Carlisle reflects on his feelings about his youngest daughter. Thank you, Marauder by Midnight, for the banner 3rd and last story in the 'Life in Love' series Sequal to 'Possibilities' "This is what we have been waiting for. This was the formidable fight. This was something that I wasn’t sure we were even going to win. Each pair of daunting red eyes stared back at me, filled with hope that they would win. Hoping, just like us, that they would live." essie was kidnapped by a vampire at a young age. Years later with no memory of who or what she is she is constantly tortured, harassed, and bullied. What'll happen when the Cullens move into town? Will they be able to help her? Will they figure out who took her and why? Will Nessie ever remember her real family? Sequel to Midnight. Troy goes after the Cullen's and forces Jay to go with his family. Bella and Jay must work together to get through what Troy has planned. However, will Jay be willing to sacrifice everything for the Cullens again? Or will she simply give up? After Breaking Dawn from Bella/Jacob's perspective. Things go a little crazy a couple months after the Volturi came to fight the Cullens. As it turns out they aren't the only ones going after Renesmee. Jenica Halliwell moves to Forks, Washington to fix one specific problem. However, as so often happens in Forks, one problem quickly multiplies into millions. This is a series to The Darkest Hour Before Dawn. now that Jake's on his way home safely and Bella's a vampire things should be simple right? Well the twins will be coming soon and there's the fact that Charlie is ready to drive up to make sure Bella's ok and a new round of problems are headed their way. How will they deal with the twins birth? How will they handel Charlie? What's Bella's power Please read and review. If you haven't read The Darkest Hour Before Dawn none of this will make sense. Sorry it took so long to write but I had writers block. There will be more as I think of it and as I get a good amount of reviews. AFTER BREAKING DAWN. MAJOR SPOILERS IF YOU HAVEN'T READ IT. Jacob loved Nessie since the very day that she was born. After years of waiting for her to open her eyes and love him, the way that he has loved her, something terrible happens... She finds out about his first love. Will it ever work now that she knows he loved her mother? But that's just the beginning... What'll she do? Is there trouble ahead? 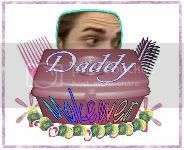 ^^^Made by the lovely, twilightOCD (yes I know thats my pen name, duh.) This is pretty much what would happen if I was Bella. Well, not really Bella, just having gotten to Edward first (I always dream of that :P) It's kind of boring at first, maybe to you, but for me, imagining me doing that, is just so exciting. Wow...he's even hotter in person, lol. Please take a look back on my bio. Twilight with another girl, another personality and another whole lot of trouble. Bella is dead, and neither Jacob nor Edward really knows how to mourn her. Edward dies trying to protect Bella. Even though Bella would rather die, the Cullens change her when Alice finds out the Volturi are on their way. The story takes place after her change (with a little flashback in the beginning explaining everything). I'm sure there are other stories to do with Edward dying out there, so I did not attempt to copy them if my story sounds like them. Oh, and the title was inspired by the song "Dead and Gone" by T.I. featuring Justin Timberlake (it has nothing to do with this story, it just seemed to fit). Charlie absolutely hates Edward and Bella. He's become abusive. Bella has had to break up with Edward or else Charlie will kill her and her mom. Now, none of the Cullens will speak to her or even look except to give her glares. Edward never glares, but he never looks either. Both or their lives are terrible, both are missing their soul mate, their other half, but Bella can't tell anyone about Charlie. So what will happen? Jacob was Bella's sun. He brightened her day and balanced out the clouds nicely. But how could he fight with the cold, rock of the moon? How could he fight an eclipse? So he ran, and now . . . he's a dead star. Another pack of werewolves, another coven of leeches. He ran right to what he was running from. A secret and mysterious cult is stealing artifacts across Europe, all with a goal made in the middle ages in mind. And that goal deals with only one thing. Vampires. Bella Swan is the only person in the world with the full knowledge of vampires, and is joined by her fellow agents of Zeta to try and stop the cult from spreading. But when a run in with her past occurs, will her duty be the only thing pushing her to fight? What I think Bella would have written to Alice in a last letter before she jumped off the cliffs in La Push. Diary 8/7/02 My name is Renesmee Cullen and i am 14 (8) years old. The only comfort life brings me is Jacob Black, my best friend. What I think Bella would have said to Edward in a last letter before she jumped off the cliffs in La Push. Edward left in New Moon and Bella moved on. She lives a happy life with her husband but never forgets him. One day Edward receives a letter from Bella and her husband. What is written in the letter? Review please. What I think Bella would have said to Emmett in a last letter before she jumped off the cliffs in La Push. What I think Bella would have said to Rosalie in a last letter before she jumped off the cliffs in La Push. Edward's Point of View. Before Edward leaves Bella in the woods, he tries to write her a letter, explaining why he is going to leave. Whom shall we mourn for? "As long as Alice stays precious to Maria, there's a chance she might survive. Fear of Maria keeps James at bay, and it's enough to make me smother the very reason for my existence, drowning her in blood every time Maria asks me to…" JPOV, Pre-Twilight Vamp AU. The late Mrs. Renée Dwyer leaves behind a caring husband and a much-loved daughter. She will be forever remembered most keenly as our sunshine in the darkest of days. Rest in peace, Renée. You will be missed. This is when Edward and Bella are dieing of the spanish influenza. Even on there deathbed people fall in love! Life as a vampire is much like a dance...To Rosalie, the dance she participates in is just as intimate as any other: the dance of death. The dance of predator and prey is one that she knows well. Danielle is a 17 year old girl, she was left broken by a disturbed childhood and now lives with her colsest friends in Louisiana. She fears that her life is incomplete and that she will never fill the void that is within her. Will the cullens be able to help her? First fan fic so please be gentle. Bella is tired of Edward's obsession, so she decides to take matters into her own hands... along with some explosives. Death, that hath sucked the honey of thy breath, hath had no power yet upon thy beauty. Its the night before her transformation, Bella has a special gift for Edward. She hopes he will take this contraversal gift. Leaving behind everything that matters to her, she heads off to her own personnal hell to protect the ones she loves... After being blackmailed by the Volturi to join them, Bella and her coven go to Italy, breaking many people's hearts. While the others mourn, they fight to escape their jail. And when the do, what will they find in the world they left behind? 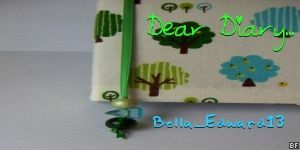 Banner by Iris! Bella has tried her best to go on, by settling with someone. She knows she can never love with what she was once capable of. But when disaster strikes who is it that is capable of putting her back together again? When Bella finds Edward cheating, he leaves. Victoria finds her and transforms Bella. 90 years later, Bella sees the Cullens again. What will happen? BTW, I have a new contest, the first 7 to review get to create their own character to put in the story . . . I even have blank lines ready to fill names in with already . . .
Alice has a violent vision of Bella's future and the Cullens consider changing Bella ahead of schedule. Jacob cannot bear the thought and considers war. After their decison Alice has strange visions of a silver-haired vampire and her mate. What she said next I would never forget. "If he dies Edward, I die too... and it will be your fault." Then she left and I knew what I had to do, even if it was going to kill me. Comfortable walks on the beach give way for awkward conversation. 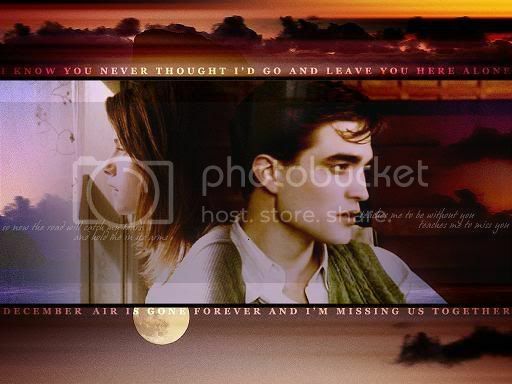 Bella/Jacob, mentions of Bella/Edward. Edward's father dies and tells him to never get married or have children, it always gets in the way of dreams. Edward and bella are twenty three years old and have been dating since freshman year in high school. Bella's ready to make it official that she's Edward's. Tim epasses and bella decides that he has until their anniversary to propose or she's done with their relationship. Well complications arise and Bella finds out she's pregnant with their child. Everyone know's she's about to leave Edward but Edward doesn't realize it. Even his mother knows and she's dissapointed that he won't finally propose. Edward has a lot of hard decisions to make and the wrong one could mess up his entire life. Bella is a vampire now and has a new ability. An ability that is much stronger than everything you have seen before. Forks has forgotten her after 30 years. But why? Is Jacob the real threat to Bella & Edward’s wedded bliss or is there someone else Edward should worry about? Thanks to Sam for thinking of the title. You rock Sam. How does one define Gianna? Edward never came back after he left Bella in New Moon. Bella went to college, married Jacob, had a daughter. When Bella's grandaughter and Edward find each other in Forks, can Edward overcome his memories and devote himself to a new love? or Not on My Watch AU from chapter 3 of New Moon. Bella is taken to Florida with Renee. However, she is even more heart-broken without Jacob Black to cling to. She is sent to an asylum by a distraught Renee. Alice wasn't looking. She'd promised to leave Bella alone. But sometimes the visions come before you ask. She couldn't help it. She sees Bella being sent off and goes to convince Edward she really isn't better off without him. "Because I'm not going to let you do this to her! I know what it's like in there, Edward. Maybe I don't remember it, but... look. What more harm can you do?"